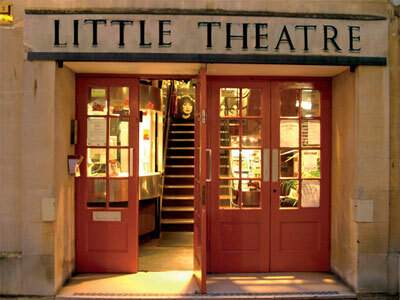 You will find The Little Theatre Cinema in St Michael’s Place at the end of Bath Street and close to the Abbey, built by community theatre pioneers in 1935, it retains the charm and warmth of a 30s cinema, including an auditorium balcony. The Theatre offers quality film performances from around the globe, The Little Theatre has been at the centre of entertainment in Bath since the 30’s. Performances for the general public are on every day throughout the afternoon and evening.The Little Theatre shows films for over 50’s and also for parents and babies, a successful and well run kids club is available on Saturday afternoons. The Little Theatre combines art deco styling and offers the customers the perfect cinema experience, showing mostly arty, foreign, and independent films. This really is the cutest little cinema in Bath.